Have you heard about Ogoniland? It’s the home of about 500,000 thousand Ogoni, who are an ethnic minority situated in the Niger delta. Ogoniland was once considered a paradise. Today, Ogoniland is being considered as one of the world’s most polluted regions. Why? Because spilled oil, billions of liters of crude, devastated it. Nigerian novellist and activist Ken Saro-Wiwa fought for the Ogoni people’s rights and criticised military junta as well as oil companies. Back in 1958, multinational oil companies started to exploit its oil fields, and so the fertile land turned into a black lunar landscape – depriving people’s livelihood and sickening them. 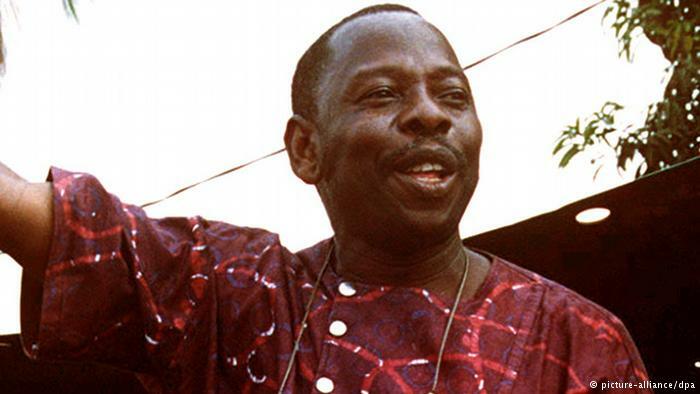 Leading the civil „Movement for the Survival of the Ogoni People“ Saro-Wiwa denounced the „oil multinational’s ecological war“, particularly Shell. Ken Saro-Wiwa’s battle for human rights and the environment became fatal: 20 years ago he was sentenced to death and hanged. At the time of the lawsuit Ken Saro-Wiwas brother Owens met Nigerian Shell-CEO Brian Anderson. „I asked him about my brother and the other prisoners, and he replied that it difficult, if not impossible to free them. There should be some good will by MOSOP.“ When Owens asked what that would mean, Anderson said MOSOP should stop its international anti Shell-campaign. According to Deutsche Welle critics accuse Shell of complicity regarding Saro-Wiwa’s and eight of his companions‘ death. Not until 15 years after the executions Shell made a settlement with the surviving dependants of Ken Saro-Wiwa und the „Ogoni-Eight“ in order to avoid claims for human rights violations. According to environmental organizations more than 50 billion liters of crude oil run into Niger delta’s sensitive eco-system. United Nations estimate that it’ll take at least 30 years to clean up the environmental damage. We, citizens and consumers, need to raise awareness of our economic system’s impact on people’s fate. Through our consumer and political behavior we are able to influence political and economic actors. A small, but important step to achieve this, is to demand that Ken Saro-Wiwa must be pardoned posthumously.